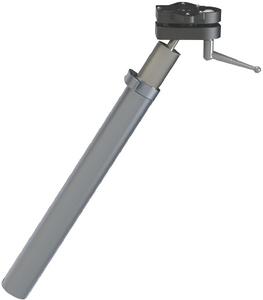 Boatersland Marine > Outdoor Products > Grills/Stoves > Grill Accessories > Kuuma 58196 Adjustable Rod Holder Mt. Kuuma 58196 Adjustable Rod Holder Mt. 58196: Full adjustable ball and socket rotates and pivots for use on any rod mount design.